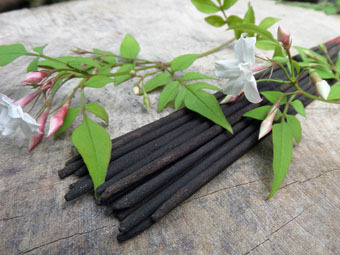 Scented only with pure sayali jasmine oil, pure wild flower oils and cinnamon berry oil. 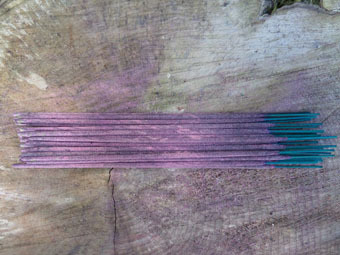 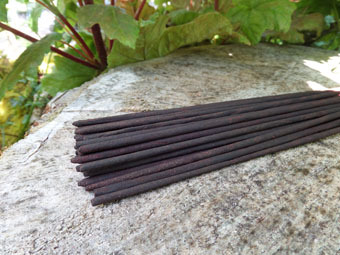 A subtle mix of crushed cinnamon berry, wild flowers and jasmine, our pink sayali incense is extraordinarily feminine and airy with sweet candy heart notes and hints of fresh berries. 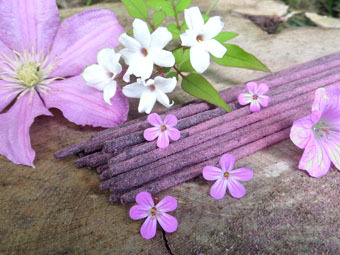 A truly "pink" fragrance, this incense is full of unique floral top notes and aromatic vanilla.